Wonderful opportunity to own a spacious village house offering lounge with wood burner . . . This impressive village property offers elegant and spacious accommodation, full of character . . .
Lovely traditional village house with 3 bedrooms, courtyard and terraces overlooking the surrounding mountains. 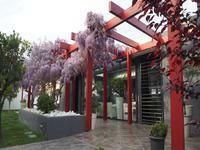 This property of 76m2 of habitable surface is located in a calm street of the center of a . . . This lovely old stone cottage, dating back to the 18th century has lots of potential. It is . . . 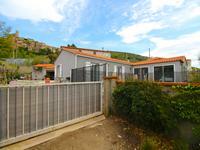 This spacious property is situated close to all amenities and just 15km from Perpignan with . . . Exceptional setting for this old house implanted on a pretty wooded and building land with . . . Situated in a medieval winemaker's village this property hides its potential and space from . . . Located in a quiet Square, on the edge of a thriving town which has all amenities , . . . 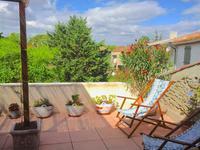 This charming traditional 3 bedroom house with terrace and balcony has a 96m2 living area and . . .
Modern house with 5 bedrooms swimming pool, garden and garage. Une belle maison avec 5 chambres sur une parcelle joliement aménagée avec patio et piscine a . . .
3 Bedroom town house with large terrace, garage and mountain views. This lovely 3 bedroom town house is situated in a much sought after town, which has most . . .
Villa moderne 4 faces avec 3 chambres, piscine, jardin et garage. This beautiful, modern, single storey house is situated in the much sought after area of Le . . . Attractive stone house, offering nearly 200m² of habitable space and comprising 2 lounges, 4 . . .
Beautiful newly-renovated 4-bed, 3-bath Minervois village house with convertible attic room, terrace and courtyard. Traditional details, character and materials have been kept, together with the comfort of gas . . . Superb 3/4 bedroom single storey house with , pool, garden, and garage within a few metres on the beach. Rare! 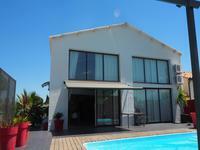 Modern property situated in Canet en Rousillon just a few metres from the beach. Within . 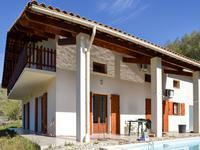 . .
Stone dwelling with 5 gites, land and pool only 15km from Narbonne plage. 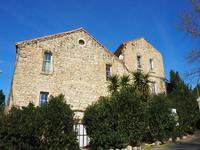 This beautiful stone property with 5 independent gites situated just 2km from a village with . . .
Just 50 km from the sea and only 70 km from Montpellier in a village with all amenities, this . . . This would be an ideal little project for someone wanting to make a good financial return. . . . Difficult to find adequate words to describe this superb property: a beautiful villa and . . . This lovely apartment is priced to sell quickly: set on the ground and first floor with . 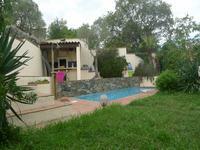 . .
2 kms from the beaches, beautiful 5 room villa on sunny and wooded grounds of 1092m2 with . . . Fractional ownership of this magnificent 9-bedroom, 6000 square foot French farmhouse . . . 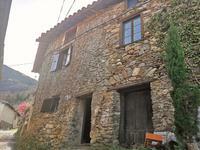 This full of character house in 4 levels, is located in a medieval small town in the valley . . .
Stone village house in Bouleternere with two bedrooms, lounge and kitchen. 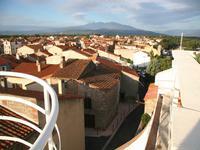 The village has a . . .
One of the best views over Gruissan port for this lovely apartment offering two bedrooms, . . . This property situated in the sought after village of Eus which has a cafe and a tapas bar. . . . This villa is in excellent condition, situated on a plot of 489m² with 105 m² (approximately) . 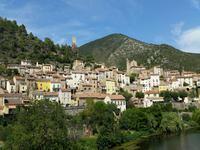 . .
Gorgeous views, what a privileged situation in this village with café/shop and restaurant! A 3-bed, 2-bath villa with pool, garden, garage, parking. 3 km from Olonzac, with a superb covered and heated pool of 8.5 by 4.5m, a veranda, a haven . . . Elegant 3 bed country house with 2 bed apartment, pool, land and garden in Cassagnes, 35 min Perpignan, beautiful views. This elegant country property is situated on the edge of Cassagnes with a self contained two . 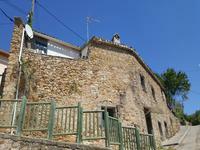 . .
Stone house with terraces, courtyard with a lots of potential in charming village with local . . . 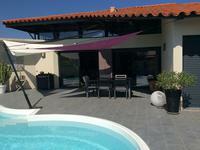 This lovely property is situated in a village with amenities just 12km from Perpignan with . . .
Modern 3 bedroom villa with garden, swimming pool and garage. This bright, modern villa is situated in a much sought after area close to the Médipole . . . Beautifully renovated property with 3 bedrooms, garden and swimming pool, close to Thuir. Situated in the pretty village of Corbere, which has basic amenities and just 10 km from the . . . 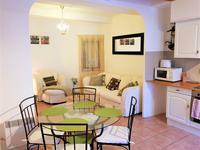 Apartment with two bedrooms, garage and small courtyard, located in the heart of the charming . . .
Great opportunity to have a lovely comfortable home and gite in the friendly canal-side . . .
Quiet environment for this house located in a hamlet 15 minutes from the spa town of Vernet . . . 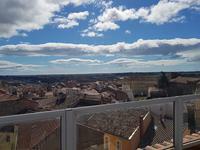 Located between the townhall and the cathedral in a quiet setting and with unobstructed views . . . 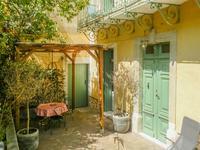 Located in the historic center of a vibrant and authentic village with South facing views . . . 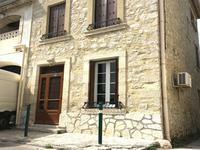 In the historic centre of a beautiful village with all amenities (cafés, restaurants, . . . 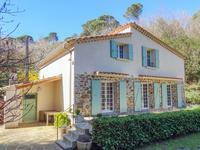 Originally dated back to 1788 the former forge of the chateau is a fantastic opportunity to . . .
Lovely old restored 3-bed, 2-bath village house on the church square with terrace, mezzanine, cellar and great views. This house is in a charming location. It has recently been rescued from ruin and renovated to . . . 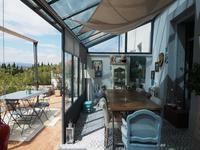 This can be your perfect holiday home in the south of France: well renovated house set over 3 . . . This charming 4-bedroom home with a heated private pool and enclosed garden is located in . . . 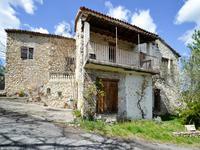 Situated on the outskirts of the fabulous Villefranche de Conflent this stone house has been . . . This pretty semi-detached stone house of c. 102m² habitable space, has been modernised with . . . This delightful stone village house has a rooftop terrace and lovely views over the . . . Perfectly located within the heart of an authentic winemakers' village in the Saint Chinian . 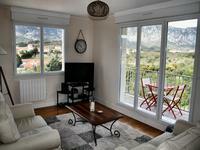 . .
A lovely detached property with mountain views set in the charming and peacefully wooded . . . When one thinks of the south of France, fields of sunflowers and acres of vines come to mind. . . . This is a large detached family house, fully fenced, in a quiet village, just 45 miles from . . .